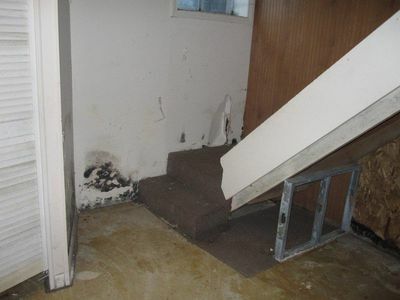 Mold can become a serious problem in homes, offices, schools and day cares, health care facilities if water intrusion or high humidity is left unaddressed. The best way to prevent the growth of mold is to have your property professionally inspected and dried out. If you do suspect that mold may be present, it is important to contact a company that specializes in mold remediation to learn about removing mold safely and effectively. All of the common types of mold have the potential to cause health complications in both children and adults. Common health problems caused by the exposure to and inhalation of mold range from cold and flu-like symptoms to more serious pneumonia-like symptoms. The very young, the elderly and individuals who have a weakened immune system or who suffer from a respiratory condition or allergies are likely to develop more severe symptoms from exposure to mold. DID YOU KNOW? Mold spores are all around us, all the time. They only begin to grow when the right conditions are present, the most important of which is moisture. Over time mold can become a serious problem for a homeowner, potentially spreading to other areas of the home and affecting the health of the occupants. It is important that mold is dealt with by trained and certified personnel in order to ensure that occupants are protected during the remediation process and that all affected materials are removed safely without spreading mold spores to other areas of the property. When you call us we will carry out a full inspection to determine the extent of the mold which will allow us to give you a detailed estimate and plan to remediate the mold. The first step that we take is to isolate and contain the affected area. We do this by creating a barrier between the mold and the rest of your property and using HEPA-rated negative pressure equipment to keep any airborne particles inside the containment. DID YOU KNOW? Bleach is not recommended for use on porous surfaces and in many cases can actually worsen the mold problem. Next, non-structural materials are removed and double bagged before disposal to prevent cross contamination. Structural components such as studs are sanded and treated with a specialized chemical to remove staining. If the source of the moisture is unknown, this step will also enable us to locate the cause of the problem. Finally the area is thoroughly dried over the course of several days and, if necessary, sealed with a mold resistant coating designed to resist moisture and humidity. DID YOU KNOW? We are certified by the IICRC in the proper techniques for the remediation of mold. Ensuring the safety of you, your home and our workers is our number one priority.